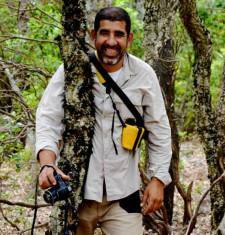 Ahmed has been working with Sian surveying Barbary macaques since 2004. Ahmed is responsible for macaque monitoring and project logistics and works with Siân on the Shepherd Outreach Programme. He is also responsible for the administration of BMAC Morocco. Ahmed enjoys visiting schools and telling schoolchildren about Barbary macaques and was awarded Primate Education Network’s (PEN) educator of the month in 2013 for his efforts. Our work depends on your generous support. We couldn’t do what we do without you! Please click on the paypal logo link below and choose how much you want to donate.